Brittany Horne of Carmel drives over Emily Tapio in Carmel win Friday. CARMEL—The Carmel High girls basketball team is hoping to do some good things this winter, and the Rams started things off on the right foot last weekend, rolling to victori… Please login below or purchase a subscription to the Putnam County Courier to access this content. SOMERS—Even though they lost two of their first three games the Kennedy Catholic High School girls basketball team is feeling pretty good about where they are. The Gaels opened their season with narrow to Hendrick Hudson and Carmel, bookendi… Please login below or purchase a subscription to the Putnam County Courier to access this content. Bears crown nine champs; Magalhaes named M.O.W. BREWSTER—The Brewster High wrestling team got the 2009-2010 season off to a rousing start last weekend, defending its Rye Wrestling Tournament championship by putting nine wrestlers on the podium. The Bears finished with 326 points, ahead of… Please login below or purchase a subscription to the Putnam County Courier to access this content. PUTNAM VALLEY—The Putnam Valley High girls basketball team had their first game of the season Monday. They visited John Jay East Fishkill and lost, 59-45. Putnam Valley only returns two starters from a team that made it to the quarterfinals… Please login below or purchase a subscription to the Putnam County Courier to access this content. 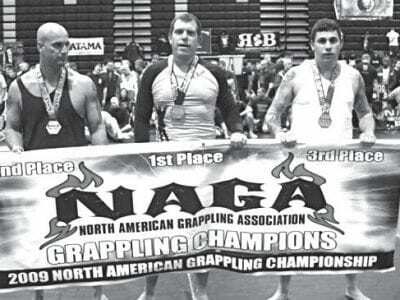 Dr. Charles Marino, owner of Advanced Health & Injury Care in Carmel New York won the 2009 North American Grappling Championships in Newark New Jersey. Charles trains at USA Karate, Boxing and Brazilian Jiu-Jitsu school at Patterson Recreation center… Please login below or purchase a subscription to the Putnam County Courier to access this content. CARMEL—The Carmel High boys basketball team picked up its first win of the season last Friday, topping Keio, 56-31, in the opening round of the Keio tournament. The Rams were set to take on Children’s Village – a winner over Tuxe… Please login below or purchase a subscription to the Putnam County Courier to access this content. (From Left) Brewster’s Greg Markert, Mike Quinn, John Carr, Charlie Carr and Niki Tchobanov BREWSTER—Despite some strong individual performances, the Brewster High boys swim team lost its seasonopening duel meet on Dec. 2 to a league opp… Please login below or purchase a subscription to the Putnam County Courier to access this content. In last week’s edition of THE COURIER, we mistakenly identified two photos on our front page. 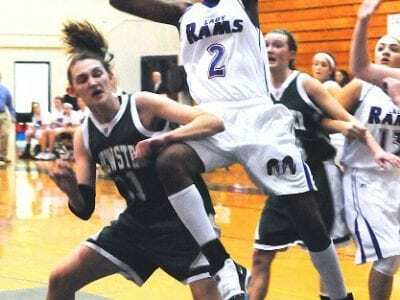 In the Brewster girls basketball preview, the photo that appeared was of Emily Tapio, not Vania Simpri. And in the Carmel boys basketball preview, t… Please login below or purchase a subscription to the Putnam County Courier to access this content.